Money20/20 - NewNet Communication Technologies LLC. NewNet Communication Technologies is a leading provider of innovative solutions for secure transaction transport, contact centers, next generation mobile and fixed line networks, mobile communications. NewNet enables global telecom operators, equipment manufacturers, acquirers, processors and financial institutions and enterprises to rapidly develop and deploy cutting edge revenue generating applications that deliver feature-rich, value added services. NewNet Secure Transactions solutions delivers secure transaction transport from IP and dial based Point Of Sale (POS), eCommerce, and mobile payment points to processing servers. Merchant acquirers, financial institutions and any organization involved in the processing of payments from Point of Sale (POS)/Point of Interaction (POI) systems and the many forms of eCommerce, mcommerce and Mobile payments use NewNet Secure Transaction solutions for secure transport of payment data using our on-premise and cloud based payment solutions. 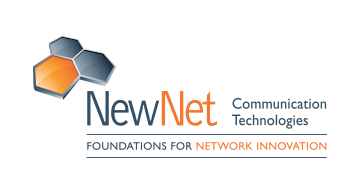 NewNet’s Secure Transactions Group was formed with the acquisition of Traxcom Technologies in 2011, an organization that originated in 1989 as Primary Access and later came under the ownership of U.S. Robotics and further developed by 3Com and UTStarcom.